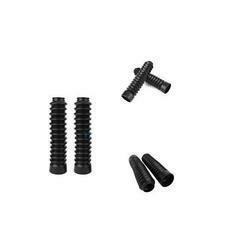 Buy Online Two Wheeler(Motorcycle & Scooter) Front Fork Boot at best price. We offer a complete range of front fork boot for all Motorcycles/Scooters. Front fork boot O. E.
We are affianced in presenting to the industry a top class range of Front fork boot for two wheeler. We are affianced in presenting to the industry a top class range of Two Wheeler Fork Boot. 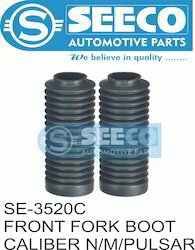 We offer a wide range of Fork Boot. It is said that the growth of a company can best be judged looking at its satisfied clients and Siddharth Brakes Pvt. Ltd. boasts of a wide clientele not only in India but overseas as well. Jayna Motor Cycles Pvt. Ltd., amongst many others, is our major client. We are the leading manufacturer of Front fork boot for Hero.